If you’re a car enthusiast, a follower of Car & Driver, Top Gear, or other car magazines on Facebook, you’ve probably read or been a part of conversations on which car is better. You’ve also most likely had to defend your position numerous times as you believe that the car you like is indeed better. Well, you’re not alone. This happens on a daily basis between car enthusiasts, but what do market and consumer demographics have to say about brand’s perceptions, build quality, and overall popularity? Auto shows are a great way to find out which car you like, but from a business and marketing standpoint, you find out who is actually buying what brands, their age, gender, relationship status, and where they stand in financial stature. The beautiful women who are employees of the car brands are always around at the desks to either answer questions, or in my experiences the past two years, to ask questions on what I think of the car and what could be improved. These employees are survey takers, and are also marketers as well. The knowledge of the consumer demographics are beyond what I know, but after really taking a good long look at the cars and crowds, it’s clear that there is a dramatic difference between consumers of certain brands. Being a college aged adult, Cadillacs are beyond my financial reach to begin with, but with a resurgence taking place within the company, many younger adults are beginning to look at the luxury GM brand a bit differently. Some have emphatically defended Cadillacs over the German competitors, and on occasion insult those who disagree that the American automaker is an old person’s car and make vehicles car companies used too make. Last weekend, that perception held strong. To humor myself I wanted to sit in the new ATS and other models Cadillac is introducing and selling. Each time I made an attempt, 65 year olds and retirees were the ones looking at those cars, spending much time in the driver seats, making it appear that they do intend on owning one in the near or distant future. The cars that were present didn’t draw in younger people, and there were very few middle-aged adults taking good long looks at the Cadillacs. Right now the luxury car maker is trying to compete with Audi, BMW, and Mercedes Benz, and currently they’re not drawing anywhere near the same crowd. It’s absolutely incredible what Mercedes Benz has done with their lineup. They have a car for almost every market in the automotive world. From small compact sedans, to full-sized SUV’s, Mercedes has by far made the biggest impact in the automotive industry and consumers are taking notice. Having gone to the auto show in Boston two days over last weekend, the results were the same. There were dozens of people swarming over the Mercedes Benz’s, and with an array of different models, people were spending close to 10-15 minutes talking about the cars, taking photos, and sitting in the driver seats. It’s clear that Mercedes Benz wants to be in every single market. They recently began marketing the new B-Class which runs on electricity, a market that is growing every month, as Tesla’s success is putting pressure on other manufacturers to begin producing cars that run on electricity. As a Volvo owner myself, I know the perception of the Swedish automaker to be safe and for the middle class adult who has a family. I’m happy to say that’s the complete and honest truth. Families with young children were surrounding the Volvos, especially the XC60 and V60, one being a crossover SUV the other being more of a traditional station wagon. 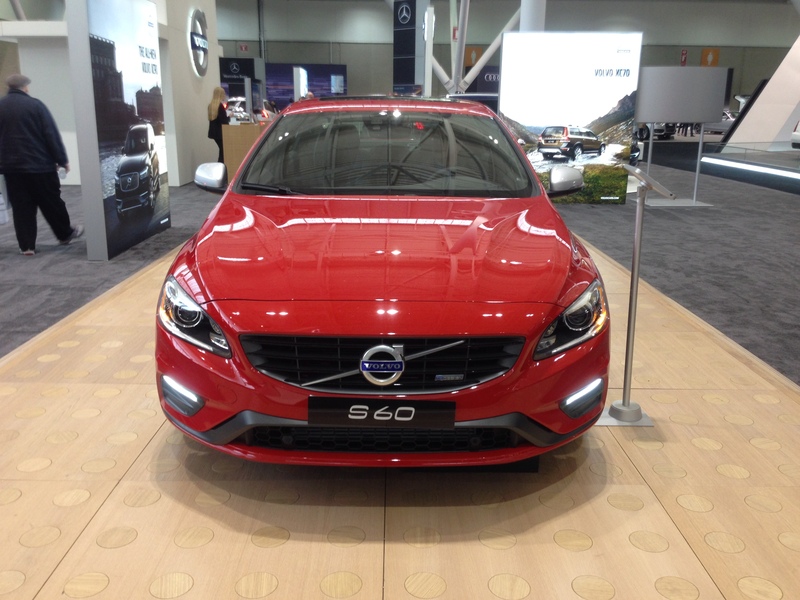 Cargo space and comfort appeared to be the most important aspects of the cars themselves for the families looking at them, and having foresight of their demographics, Volvo even set up comfortable chairs to sit in within their section of the auto show so kids could have a place to rest. 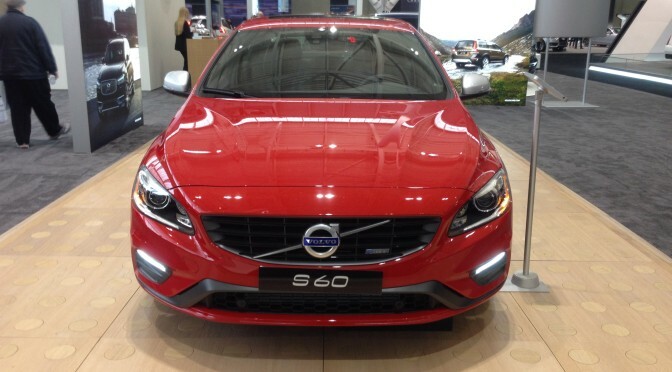 However, the Volvo that was attracting many young adults was the S60 Polestar. A turbocharged 6 cylinder engine putting out 325 hp would get anyone excited. 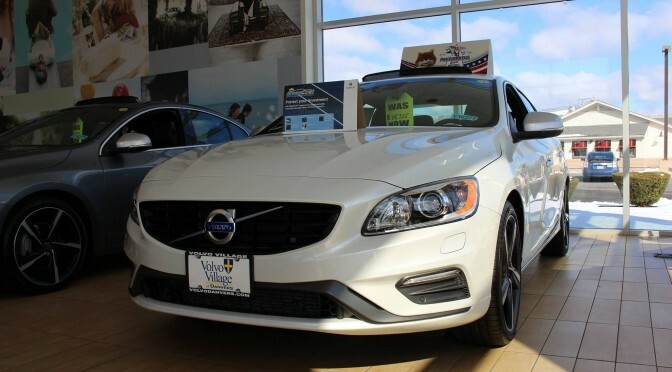 This car was by far the most popular attraction for Volvo in terms of reaching consumers of multiple demographics. Right now car companies are competing for a strong stake in the automotive market. At times it appears that some of the auto brands are going away from their identity to attract consumers who weren’t originally part of the specific market that bought those cars. For Cadillac, they’re in a Catch 22 because they can’t look back, but they’re also having great difficulty in moving forward because the Germans are always one step ahead. At the end of the day, the demographics reveal all about who is buying what. Auto shows are the best way for these companies to get a feel for the market and who they’re attracting, and for some brands, they have a lot of work to do before they begin to compete with Mercedes Benz, Audi, and BMW. We’ve all heard of, or have experienced buying a car at some stage in our lives, and depending on who you talk to, it was either great or extremely horrible. For the past few weeks I was looking at getting a vehicle due to the amount of driving I do on a weekly basis. Opportunity came knocking on my door as Hyundai and Volvo Village in Danvers Massachusetts had a car that was perfect and exactly what I needed. An hour and half after I had taken a test drive, the car was mine. However, the customer service is what really made the difference. Before going up to see the car, I was focused on paying attention to the dealer and customer service itself more than the vehicle that I was interested in. Seeing everything from a marketing and business perspective, I wanted to understand the industry on a local level. Just from a customer service standpoint, I was impressed and still haven’t ceased raving about the experience I had at Hyundai and Volvo Village. After the test drive and negotiations my dad and I were offered bottles of water, which surprised me since other car dealerships didn’t show that same friendliness. Small acts of kindness definitely goes a long way, and as a consumer, it created confidence is this dealership. The night I picked the car up everything went smoothly, the dealer thoroughly went through all the details about the car itself and even filled my car’s tank to full before I drove it home. Hyundai and Volvo Village of Danvers really is the epitome of great customer service. Everyone who works there is friendly and welcoming, making it a comfortable environment to buy a vehicle. Needless to say, I’m so impressed with my experience there that I will drive the 31 miles to have my car serviced, and hopefully purchase my next vehicle there. This is how customer service should be across the board, whether car dealerships or small businesses along a main street. If you treat your customers with respect and give them a sense that you really care about their well-being when they’re purchasing your product, they will return, guaranteed. If your clients or customers have to sit at a desk and fill out paperwork or sit in the waiting area, make them feel as close to home as possible. Waiting to pick my car up, the receptionist said that we could change the channel on the TV and help ourselves to coffee and cocoa, which again, isn’t seen or heard of in many places. The friendliness and engagement of conversations also eased the apprehensiveness of buying a first vehicle. When customers enter your store, be friendly and interact; not only does it make them comfortable, but it shows that your business is warm and open. What I experienced last Saturday was the perfect example of a quality brand, and as I’ve said in previous articles, that alone can be your best form of marketing. No doubt I’ll be telling my friends and relatives about Hyundai and Volvo Village of Danvers, and I’m sure other customers have too. Marketing can take many forms, and if your customers are that satisfied with your service, you’ve already succeeded in drawing in clientele. For the small business owner, this is how you should run your store and customer service. Add that to marketing on social media and starting a blog, and you’ve mastered the art of advertising and customer relations. When Is It Time To Own The Content And Information You Share?